Please ensure that your robotic sets are in satisfactory condition for best performance. Fax/email any orders to Sasbadi Holdings Berhad (if required). 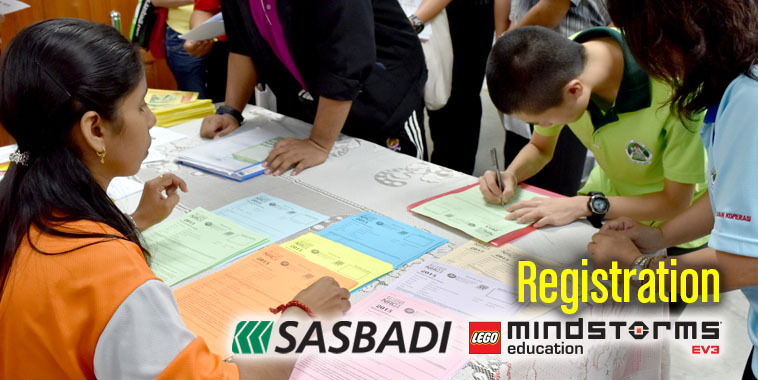 Go to nrc.sasbadi.com, fill in the online registration form before 31 May 2017. Attend the NRC 2017 Centralised Briefing & Sharing (CBS) sessions. Register the participants detail through our online portal nrc.sasbadi.com - login before 31 May 2017.